MIDDLEBURY, Conn., April 1, 2019 /PRNewswire/ -- Today, Timex, a global leader in watchmaking for 165 years, has done the impossible in its 25th Hour watch – it created an extra hour of time that offers everyone those coveted extra minutes in the day to live out their dreams. As if reinventing time wasn't enough, in true fashion, Timex has introduced a watch that helps people keep track of our new 25-hour days, available in limited quantities for $79 on Timex.com/25thHour. Timex, a global leader in watchmaking for 165 years, brings a whole new generation of timekeeping with the 25th Hour watch. Timex hopes to inspire wearers of the 25th Hour watch to imagine what they would do with a coveted extra hour each day. We all need more time and it became our mission at Timex to find it. Not just more time for productivity, but for the things that matter most. 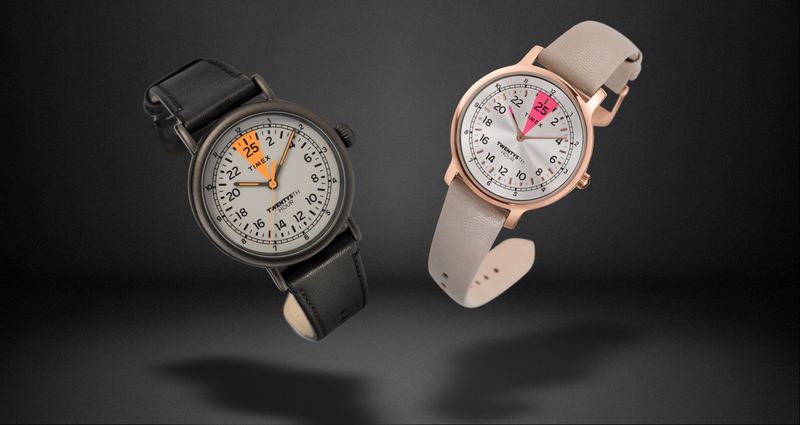 These unique watches present time in a whole new way with one complete revolution for each 25-hour day, while also displaying standard 24-hour time on the outer track. The blueprint of the 25 hour day was staring at us right there, all this time. "When we embark on a project like 25th Hour, we devote a lot of time and resources to it, as we've done throughout our entire history of combining expert watchmaking and innovation," said Tobias Reiss-Schmidt, CEO of Timex Group. "The universal sentiment of wishing there were more hours in the day is something Timex has heard from consumers time and time again." Just what would Americans do with an extra hour? Generationally, the answers from Boomers and Millennials were surprising in that neither defaulted to wanting more sleep. Millennials, for example said they would exercise (23 percent), whereas 24 percent of Boomers said they would spend time with family and friends. A surprising subset said they'd use an extra hour for sleep: non-parents (26 percent), whereas parents said they'd exercise more (25 percent). Timex is thrilled to bring an extra hour of sleep, quality time or physical fitness to Americans everywhere with its new, logic-defying watch. 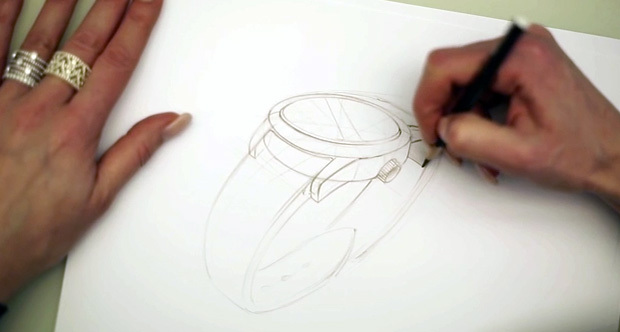 In a recently-released video that explains how Timex accomplished this feat, consumers will see that the answer has been staring them in the face all along – in sketches they've seen in history books and in famous paintings that have nothing to do with time. Right there – in plain sight. Timex's invention, brought to life in the 25th Hour watches, changes everything – and nothing – all at the same time. It lets people imagine the possibilities of having extra time. Those seeking the elusive 25th Hour will be pleased to see it's available in a 40mm gunmetal-tone case with gray dial and quick-release black leather strap for men, as well as a 34mm rose gold-tone case with silver-tone dial and bone-colored leather strap for women. If it feels like time is running out, even though there's more of it, that's because it is. These watches are available in small quantities to U.S. consumers on Timex.com/25thHour. If they sell out, there's no telling when they might be back. Timex Group designs, manufactures and markets innovative timepieces around the world. Timex Group is a privately-held company headquartered in Middlebury, Connecticut with multiple operating units and over 3,000 employees worldwide. As one of the largest watch makers in the world, Timex Group companies produce watches under a number of well-known brands, including Timex, Nautica, Guess, GC, Salvatore Ferragamo, Versace, Versus and Ted Baker. *It is actually impossible to invent time – but great timepieces are certainly within the Timex wheelhouse. If you find yourself wishing there was more time in the day, try keeping track of it with an expertly crafted timepiece from Timex. The Timex 25th Hour watches tell two times: that of a fictitious 25-hour day, as well as that of a normal, metaphysically correct 24-hour day. This research presents the findings of an online survey conducted by Toluna QuickSurvey on February 28, 2018 among a sample of 502 Americans 18 years of age and older. The margin of error for a sample of this size is ± 4.5%.